We see you over there, so lost in your own thoughts, you might miss your next meeting. You know it’s time to up your holiday game, and we know you’ve been googling things like “ski holidays” and “mountain retreats”. Don’t worry—we won’t tell your boss. We just have a tip for you: If you really want to slay, you need a chalet. 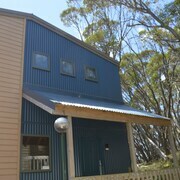 Specifically, cheap chalet accommodation in Mount Buller. A budget chalet hotel in Mount Buller is the perfect new topic for your office chit-chat, but unlike that office retreat, there will be no trust falls. You will find all sorts of adventurous activities on offer in Mount Buller, but none of them will involve your coworkers having to catch you (at least we hope not). Outside, nature awaits, with endless trails and endless fun. Inside, you’ll find all the right amenities for recharging after an active day, from luxurious linens to fully equipped kitchens. 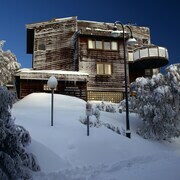 Speaking of kitchens, chalet hotels in Mount Buller have everything you need for a romantic getaway. Cook up a candlelit dinner and open that perfectly chilled bottle of red. 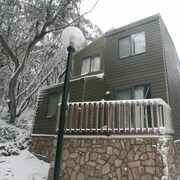 A crackling fireplace and the amazing views of Mount Buller out your picture window will do the rest. Our deals practically move mountains, bringing cheap ski chalets and more to you right where you sit. 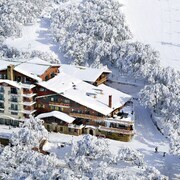 Yes, you’ll have to pack eventually, but for now, browse our sweet selection of Mount Buller chalets and start dreaming. After all, didn’t your mum always tell you that you can be anything you want to be? 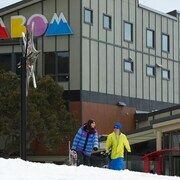 Well, you want to be on holiday in Mount Buller, and it’s time to make it happen. Friendly and helpful staff. Room was basic but clean, warm and comfortable with great views. 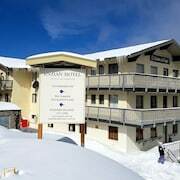 Easy access to ski slopes and town centre. Thank you for your an enjoyable stay.